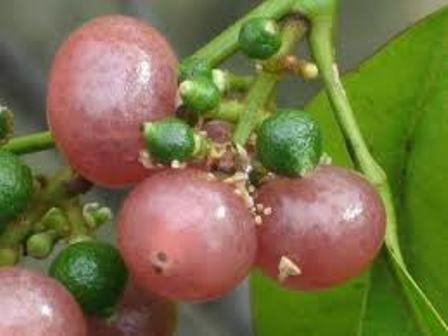 Other names: Ban nimbu, ginberry. Orangeberry is basically plant from Asia. It is widely distributed tropical and subtropical parts of Asia and Northern Australia too. In India, it is found all over and is therefore known by many regional names. 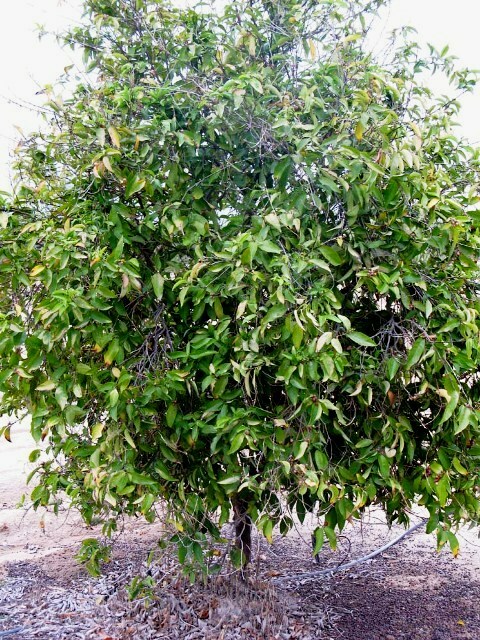 The Hindi name, however, is BAN – NIMBU, which literally means wild lime. This can be seen as undergrowth in forests and in fallow fields. 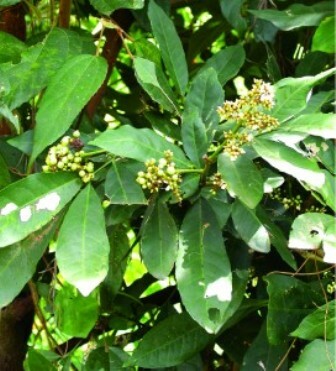 A large odorous shrub, 1-1.5 m high, but at times can grow upto 3m. Leaves 3-7-foliolate; leaflets subopposite, 7-15 x 2-5.5 cm, elliptic-lanceolate, attenuate at base, entire to minutely crenulate-serrate on the margins, acute to round at apex, glandular on both sides, glabrous; rachis 6-10 cm long; petiolule c. 2 mm long. Flowers in terminal or axillary, spiciform panicles;sepals 5(4), 1-1.5 mm long, ovate-acute, ciliate on margins; petals 5(4), white, 4-5 x 2-2.5 mm, obovate, surface gland-dotted; stamens 8-10, longer and shorter filaments of longer ones c. 3 mm long, shorter, c. 2 mm long; disc prominent, annular; ovary 2-2.5 mm across, ovoid, 5-celled; stigma flat or obscurely lobed. Fruit a berry, 1-1.2 cm diam., ovoid, white turning pink, pulpy, glandular. The fruits are edible and appreciated in some parts of the world. The tree is still quite uncommon but occasionally planted in gardens as an ornamental as well. In cooler regions, this is planted indoors in pots. The fruits are eaten and relished equally by children as well as elders. 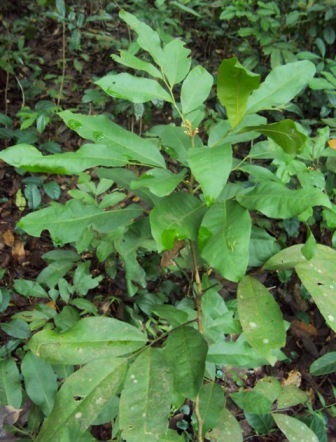 The plant is used against many ailments in indigenous medicine in India as well as in some parts of South East Asia. Nearly all parts of plants are used in medicine. As already stated, because of its attractive foliage, orange berry is often planted in gardens as an ornamental plant. Orange berry does not require any special care. It grows well in pots too.